There has been quite a lot reaction to the post, and "back blog" discussion, on Sarah Weinman’s blog regarding the MWA’s determination that Charles Ardai’s SONG OF INNOCENCE is ineligible for Edgar consideration because it is a self-published book. The most unusual development in this discussion is that now Charles Ardai is going to great lengths to portray himself as just a book packager — someone who brings manuscripts to a publishing house in exchange for a commission or fee — rather than as an editor and publisher. The irony is that even if one were to accept his new characterization of himself as a book packager and not, as he has claimed before, a publisher and editor — and if you were to accept his arguments regarding his relationship with Dorchester — his book would still not be eligible for Edgar consideration under our rules that define "self publication." So why is he bothering to make the distinction? publishers whose time is already taxed to begin with. consumed would go from "minor inconvenience" to "near insurmountable"
shame and could actually do the opposite of what’s intended. dive? There must be some sort of quality control. I would never equate Ardai’s book with "a stack of loose manuscript pages." He is an accomplished, acclaimed and respected author. But the fact remains that he self-published his novel. He was simply in a position to do a better, and much more professional job of it, than someone like Jim Hansen or John Q. Public with a credit card who only has access to services like Lulu. Ardai, on the other hand, has the advantage of already heading his own publishing company…or, if you accept his new argument, to have an existing book packaging arrangement with Dorchester under which he could include his own book. The solution to this "problem" (not that I agree there is one) is for Ardai to submit his next book to a publisher he neither owns nor has a business relationship with as a "book packager." the striking similarities between the role that a young Melanie Griffith played in the movie and her role in Gene Hackman’s NIGHT MOVES, another classic private eye movie made around the same time. 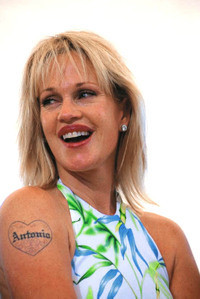 She was a good actress in her teens…long before she let the plastic surgeons at Walmart work on her face. 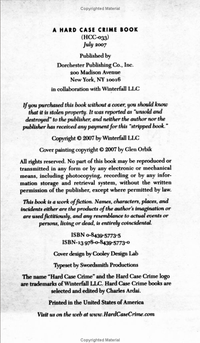 collaboration between Winterfall LLC and Dorchester Publishing." No one is saying or implying that Hard Case Crime is a vanity press. like St. Martins or Penguin for example, it would have been eligible. thereof) or the popularity (or lack thereof) of the author. Sarah basically argues that this is wrong because his book is well-reviewed, he’s an award-winning author, and Hard Case Crime is a highly respected publisher. She believes, and so does Charles, that we should either make exceptions for critically-acclaimed works, and those written by highly respected authors, or simply allow all self-published titles to be eligible. I disagree. Speaking only for myself, and not the MWA, I think those suggestions would turn the Edgars into a popularity contest. In their view, and one folks like Jim Hansen share, is that whoever gets the best reviews, or is the genre darling of the moment, deserves special attention…others don’t. The only reason Sarah is peeved about this situation is because Charles is a remarkably talented, award-winning writer and a highly respected publisher. If we were talking about someone else — a writer with a book from PublishAmerica or even Jim Hansen — this wouldn’t be an issue for her. Personally, I think the MWA rule is a good one. I don’t think we should allow self-published books to be eligible for Edgar consideration. The fact that the self-published rule applies equally to Charles Ardai as it does to someone less well-known and well-reviewed speaks to the inherent fairness and objectivity of the rule. We have created a level playing field. All self-published authors are treated the same, whether they are poorly reviewed or former Edgar-winners, complete unknowns or highly respected. If his book was published by St. Martin’s or Random House, instead of under his own imprint, we wouldn’t be having this conversation. But he chose not to do that. For whatever reason, he chose to publish it through his own company. My guess — and it’s purely that — would be so he could exercise more control over how his novel was packaged and marketed. And, I assume, out of pride in his work and in his imprint. To say that his book is not self-published because he didn’t go to iUniverse or lulu, or doesn’t own Dorchester, is disingenuous. Should the MWA consider every mystery or crime novel that’s published in the U.S., regardless of how it was published? The Academy of Motion Picture Arts and Sciences doesn’t allow every single movie released in the U.S. to be eligible and considered for Oscars…nor should they. The MWA doesn’t consider every single mystery novel published for Edgars, either. Nor do I believe they should. I’m sure there are lots of Oscar-quality movies that are being over-looked because they don’t meet the Academy’s criteria, which I’m sure some people think are draconian and unfair. Like the Academy, the MWA has criteria. Not including self-published work is one of them. It’s inevitable that some good books, like Charles Ardai’s, will not be considered. I don’t blame him for being hurt and angry, but that said, I don’t think this indicates any a flaw in our rules. When the Mystery Writers of America announced their revised criteria for active membership and publisher-approval, there were some people stomping their feet and declaring that the organization would see a huge drop in membership. Well, I am pleased and not at all surprised to say that the exact OPPOSITE has occurred. We have seen a huge DECREASE in non-renewals…from 300 this time last year to 200 this year. We also have INCREASED our membership by nearly 100 members. These numbers show our organization has actually been strengthened by the new rules. New members have joined and more existing members have renewed. This should tell you a lot about exactly who was decrying our tighter regulations and what their agendas were…. Novelist Lorraine Bartlett writes on her blog about her early experiences in fanfic. 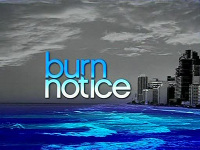 say I blame the writers/producers for objecting. It was while she was a fanficcer that she discovered what it feels like to have your work stolen though, ironically, her work was also copyright infringement. That was my first taste of what copyright infringement feels like. to stand on. Still, I hated the fact my work was stolen. Somewhere out there, in the weird, quivering underbelly of the American dream, "Mannix" still lives. assist from his leggy secretary. Somewhere out there, but not on DVD. episode of CBS’ "Diagnosis Murder." start calling you Mannix and Joe, of course, it becomes a little easier." Connors played the strong and suave shamus on the CBS action series "Mannix"
from 1967 to 1975, receiving four Emmy nominations. was unable to crack on his own series 24 years ago. guest stars on the original episode, also appear. together over lunch one day. his hair mussed. I wanted to be as self-assured and as confident as he was." 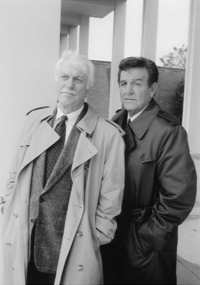 "Diagnosis Murder," Goldberg and Rabkin, who describe themselves as "TV geeks,"
began their search for the perfect "Mannix" episode. interesting. We must have pulled 30 of them and watched them." actually discovers this whole mob plot, but he never actually nails the killer." the private eye refuses to listen to his old friend’s warnings. "We knew we couldn’t have him be the man he was 20 years ago," Goldberg says. roundabout and clever, and Mannix is in your face." quips that doing this show was like "coming back from the grave!" all of us the way we were. It’s going to be an interesting show. It works." I am thinking about submitting my mystery/romance/thriller to Hilliard & Harris. What can you tell me about them? In my opinion, Hilliard & Harris are essentially a Print-On-Demand vanity press that gets you to pay on the backend rather than upfront (if you don’t include what you pay to buy copies of your own books). Here’s how they do it: they load their contract with an enormous number of egregious charges against royalties so that in the highly unlikely event that your book does make money, you won’t see much of it. For example, they deduct from your sales the cost of returns, cost of printing, cost of shipping, sales transaction costs, cost of insurance, commissions, discounts, cost of promotion, collection costs, taxes, as well as "other reasonable costs," just in case they left anything out, like maybe their electric bill and the pizzas they had for lunch. None of their listed costs, with the exception of returns, are "reasonable" charges against royalties. But since they are primarily a POD publisher, the cost of returns is a moot point anyway. 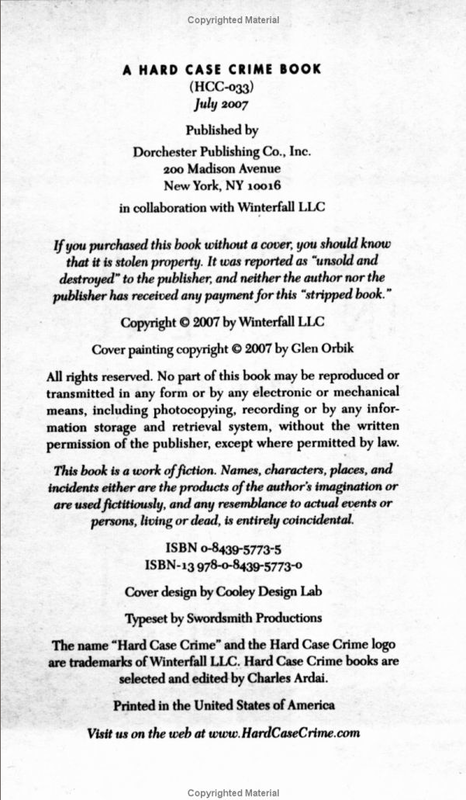 No reputable, legitimate publisher charges authors for printing, shipping, insurance, collections, promotion, commissions, taxes and "sales transaction costs" (whatever the hell those are)…but vanity presses do. That’s only one example of the many objectionable terms in their loathsome contract, which an author would have to be insane to sign. Run away screaming.